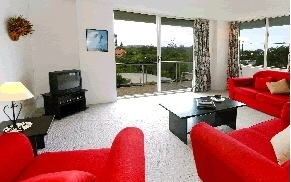 Tradewinds Holiday Apartments are located in the beautiful New South Wales town of Coffs Harbour. As well as providing friendly and affordable accommodation options, Tradewinds Holiday Apartments are also conveniently situated a short distance from the centre of town, close to the specialty shops, clubs, a variety of mouth-watering restaurants and dozens of other entertainment venues. Tradewinds features - security parking, on-site Managers, in ground pool and spa, with BBQ area and lift access to all rooms. 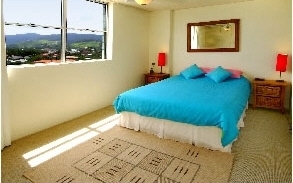 Choose from a variety of stylishly furnished self-contained units. 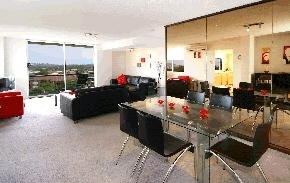 Each with balcony for you to view the magnificent surrounding areas. Tradewinds is so close to the beaches you can hear the crashing waves. 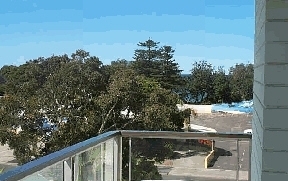 6 th floor aptartment with views over marina,mutton bird island and ocean. Photo copying and fax facilities are available. Proceed to main entrance and press managers unit. Under cover full security parking. Airport, train & bus pick up's on request. 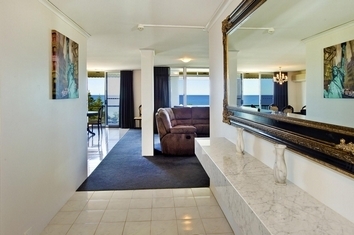 By car travelling south on the pacific highway turn left at Park Beach Plaza into Park Beach Road and follow to the end of the road, turn right and Tradewinds is the first high rise on the right hand side. Travelling north on the Pacific Highway, travel through the main town and turn right at Park Beach Plaza into Park Beach Road. Pet porpose pool, jet skiing, fishing, cruises, beaches, sky diving, go carts, restaurants & cafe's.